Nothing will stop the cuteness in the mini rodini™ K2 Cougars Parka. Multifaceted removable hood with removable, faux fur collar. Front zip with protection placket. Brand logo patch at left chest. Water-resistant with 5000 mm water columns. 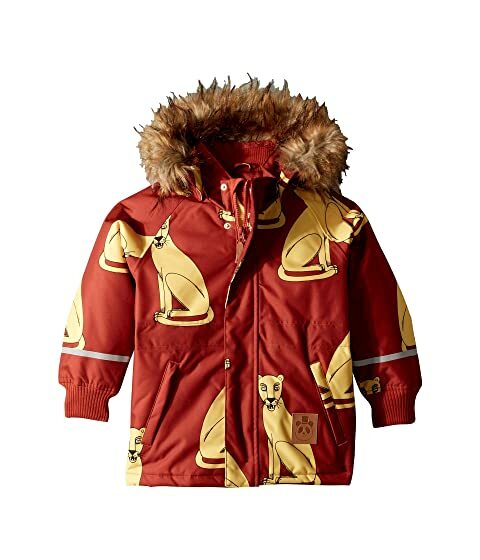 We can't currently find any similar items for the K2 Cougars Parka (Infant/Toddler/Little Kids/Big Kids) by mini rodini. Sorry!